We’re a team you can count on! 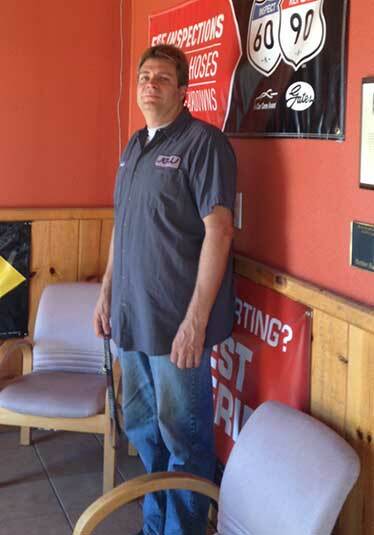 In 1990, Judd Wenzel opened JCW Auto Repair Service in Azusa with the goal of providing the San Gabriel Valley with quality auto repairs at fair prices. Over 25 years later, we continue to deliver when it comes to quality, service, and value. Whether your auto problem is major or minor, JCW Auto Repair Service has the equipment, experience, and courtesy to get you and your vehicle back on the road in no time. JCW Auto Repair Service ONLY hires master technicians and mechanics who are current and up to date on their understanding of any vehicle make and model they work on. Judd Wenzel started repairing automobiles at the young age of 13. His older brother never seemed to buy a running vehicle, so in his free time, Judd figured out what was wrong with the car, and eventually fixed the problem. This became an ongoing situation, in which Judd was continually fixing the vehicles his brother brought to him. As time moved on, Judd went to work for a small shop in Glendora, CA called Sport Tune Automotive. The shop specialized in European vehicles, giving Judd the opportunity to obtain both knowledge and experience repairing Bentleys, Porsches, Range Rovers, Mercedes, BMW, and other high-end makes and models. The shop eventually relocated, so Judd and a few other staff members went to work in El Monte for a shop called A Auto Service. Here, Judd learned the ins-and-outs of a general auto repair shop, specializing in American and Japanese vehicles. After completing his ASE training, Judd went to work for a German car specialist, advancing his skills and working for the company for about eight years. He then went to work for a friend who had an engine rebuilding shop. Here, Judd learned everything he needed to know about engine rebuilding, with hands on experience on race car motors, boat motors, and more. With everything he’d learned, Judd felt confident he could run his own auto repair shop. He opened JCW Auto Repair Service with the goal of providing his customers with superior service and quality auto repairs.